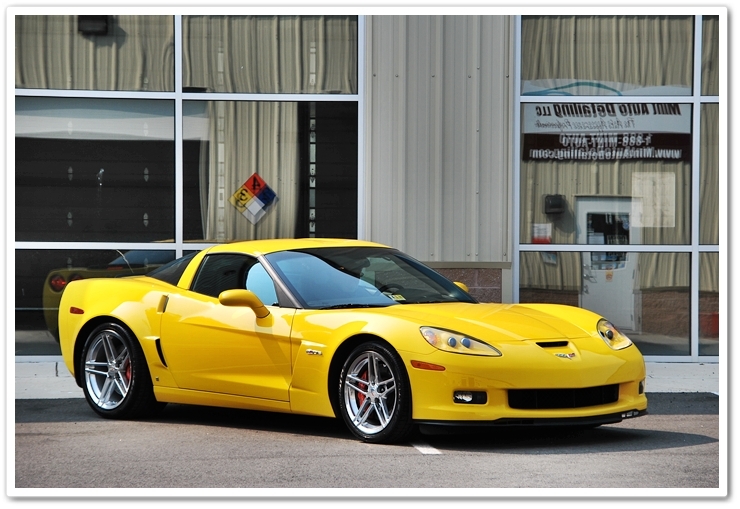 As I’m sure most of you know by now, Corvette owners are always a little different in how they are with “their cars”. They are a part of a car community that has been around for over 50 years. 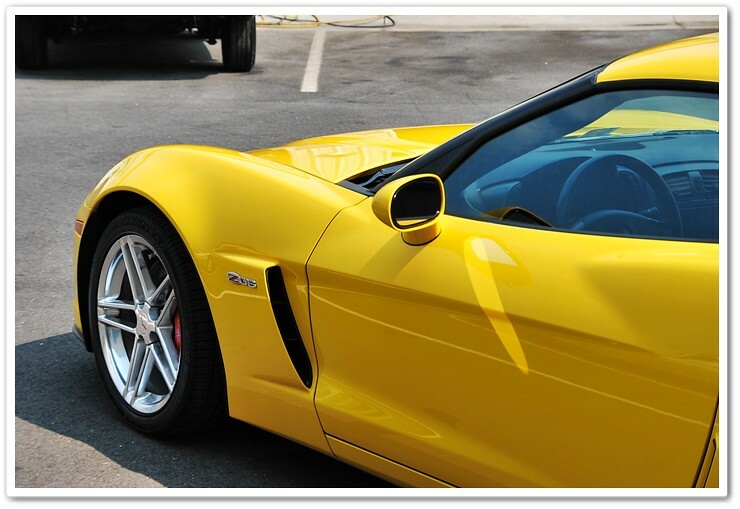 I have heard the line “I’m a Vette owner” many times and always said proudly. What’s not to like about a stock car that is under $80,000, runs an 11 second quarter mile and designed around fiberglass to keep it’s weight down. 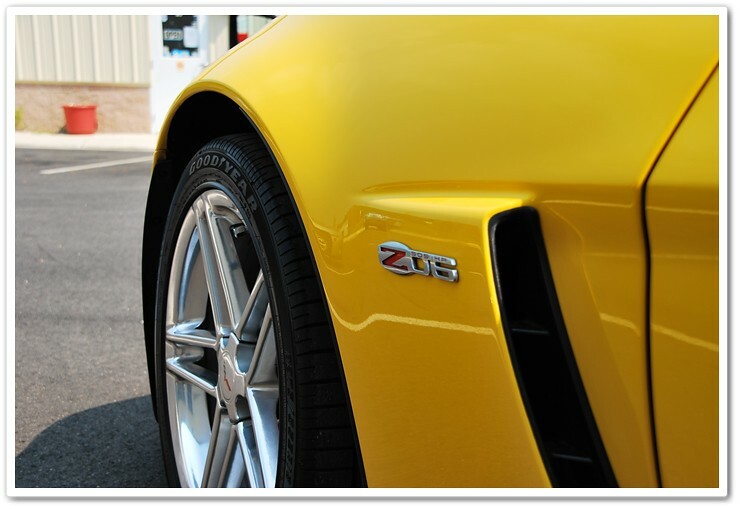 Simply put, the Corvette Z06 and ZR1 are the best bang for the buck, with the ZR1 coming in at $30,000 more. 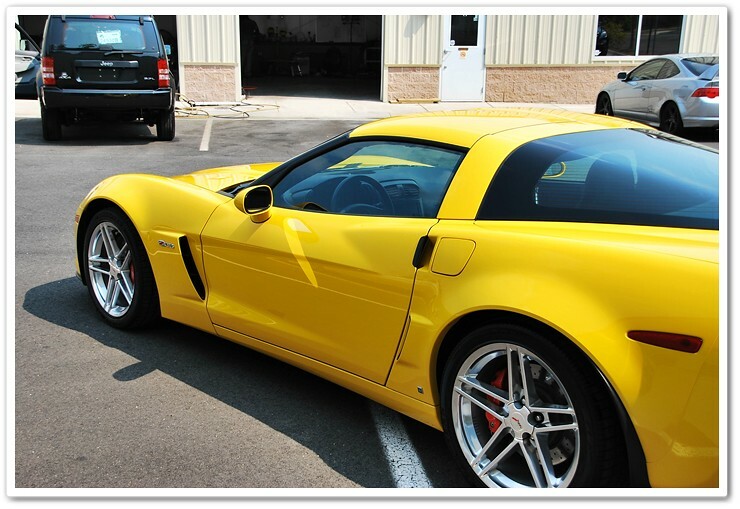 Now after doing a vehicle evaluation with the owner I decided around 12-15 hours would be needed to restore the clear coat and have this Z06 with a new look on life. Before purchase the dealership attempted to “detail” the car but we all know how that goes. Using the DI Sheepskin Wash Mitt and Chemical Guys Citrus Wash to aid in the prepping process prior to any polishing. This is a very important step as you cannot fix what you cannot see. Claying with Dodo Juice Born Slippy and DI’s Fine Grade Clay Bar. After doing a test section, I pulled the car back outside to see what was done. 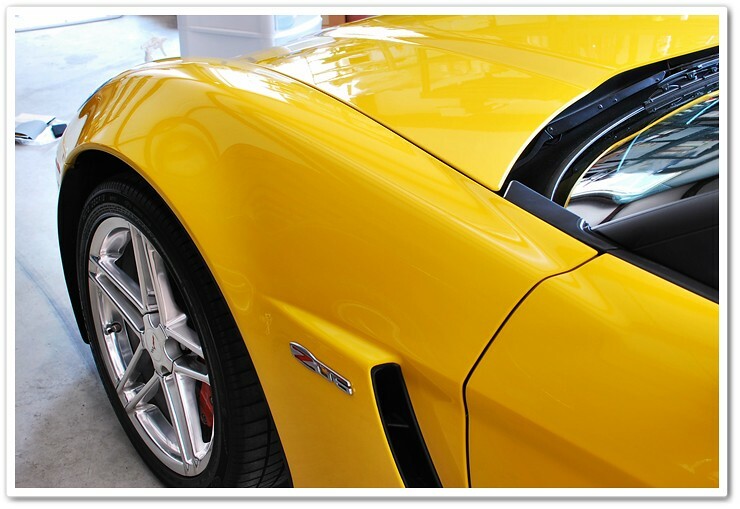 Make sure every painted surface gets the same treatment on every detail. 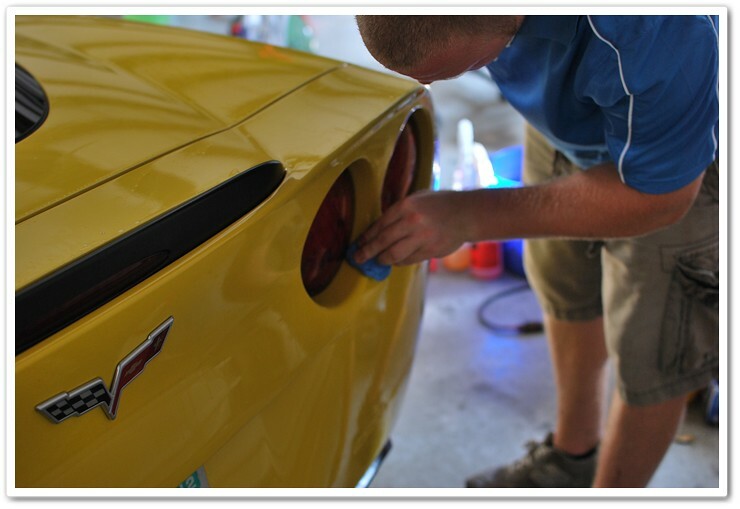 Using Meguiar’s M105 and the new Surbuf R Series Pad (Please click for my how-to tutorial using these pads) before doing the final polishing. The next step I switched to the Makita Rotary as it provided a better finish and used Menzerna 106FA and a White Pad to enhance the gloss and have a correction rate of 98%. 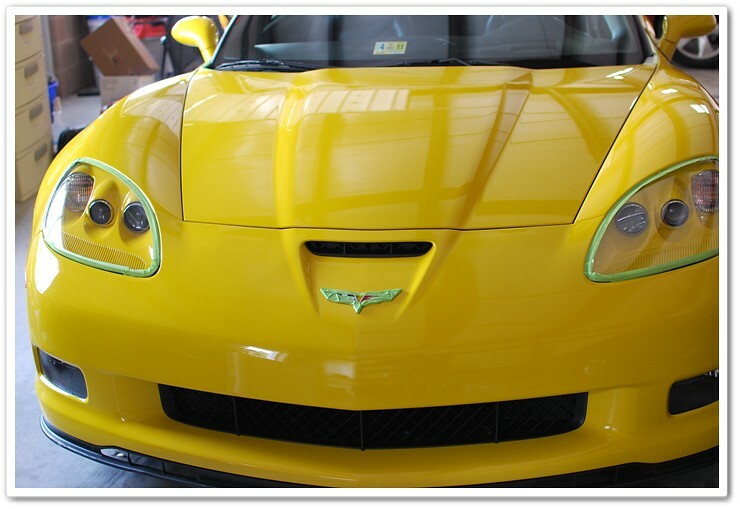 Now directly after multiple machine steps yet prior to any type of cleaning / protection the yellow now looks excellent. By the way, did you know it was all in the prep? Now these next set of pictures I had cleaned the paint using Chemical Guys EZ Creme Glaze and then applied Blackfire Wet Diamond for that long lasting slick feeling that only comes using this combination. If you haven’t tried the EZ Creme Glaze / Blackfire Wet Diamond combination, I highly suggest doing so. Optimum Metal Polish did another great job. As always, thank you for taking time to view my work. If you or anyone else has any questions or comments, please submit them in the comment box below. DJ That’s some great work. The last photo is sick! The results are amazing you did a great job. It looks better than new. Beautiful shots of a beautiful car done right. Very nice work DJ! I couldn’t help but notice you using the surbuf with the Megs 105. After reading your review of the surbuf a couple weeks ago it sounded as though that combination would only be used for fairly severe correction if using a PC. Was the paint in that bad of shape or do you feel that this combination lends itself equaly well for just minor correction (like a cyan pad and Meg 105 for example)? Just curious if its something I should have in my arsenal for minor correction work. 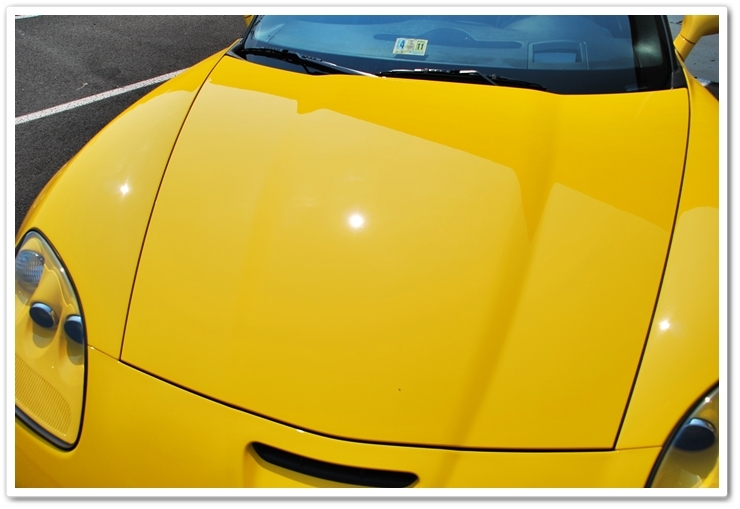 Because of the hardness of the Corvette clear coat, I was able to use an aggressive combination as the first step and then finish down properly on the next. 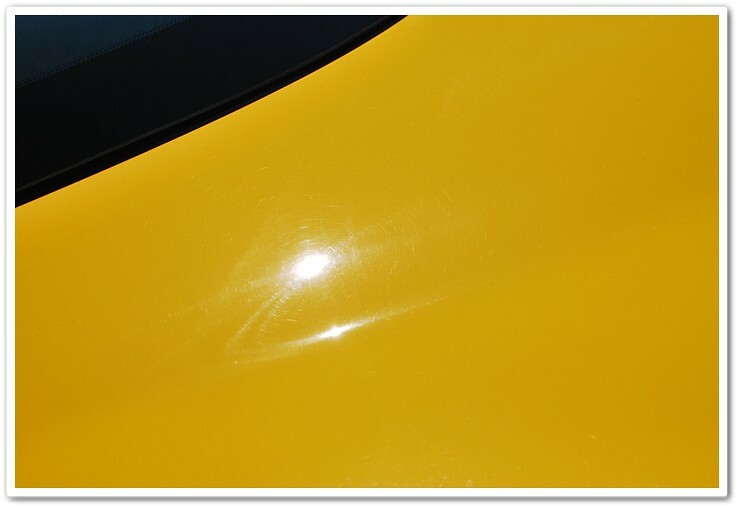 Although the paint was not “horrible” it had a decent amount of deeper scratches and swirls that needed attention. A one-step polishing job just wouldn’t of given such results. For example, if I was going for perfection on an Acura, I wouldn’t of used the Surbuf. 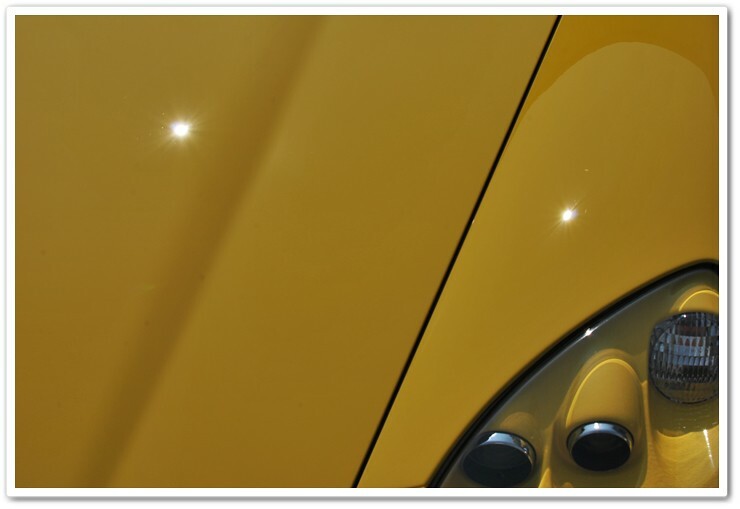 Knowing the manufactures and how certain paints react to certain products is key to. Yes, I do agree you need this in your arsenal of supplies as its a great combination. Whats a detail job like that go for? Was this for inside and out or just an exterior detail? Just want to know what a top notch detailer charges for that service. and it looks very good to me when I have it done. Excellent work as usual DJ. 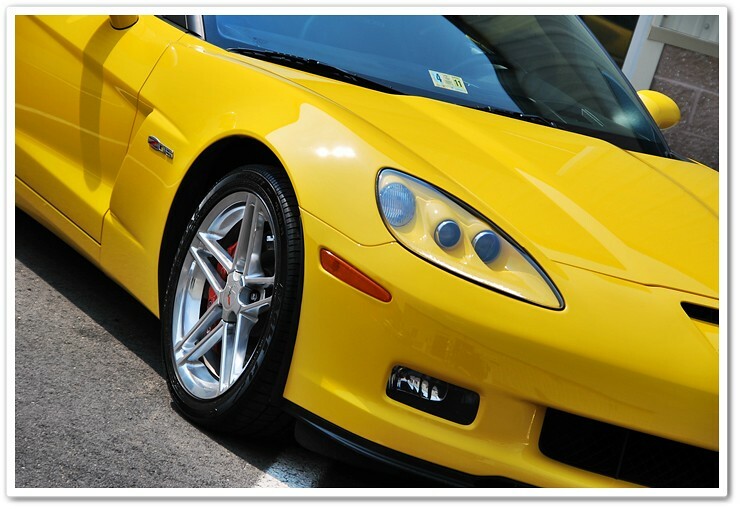 Do you think it’s necessary to wash the car after polishing? This is something I have started doing, and I think it’s essential to remove all the polishing oils to prep the paint for the LSP. I am considering grabbing some EZ-Creme when my P21S paint cleanser runs out. 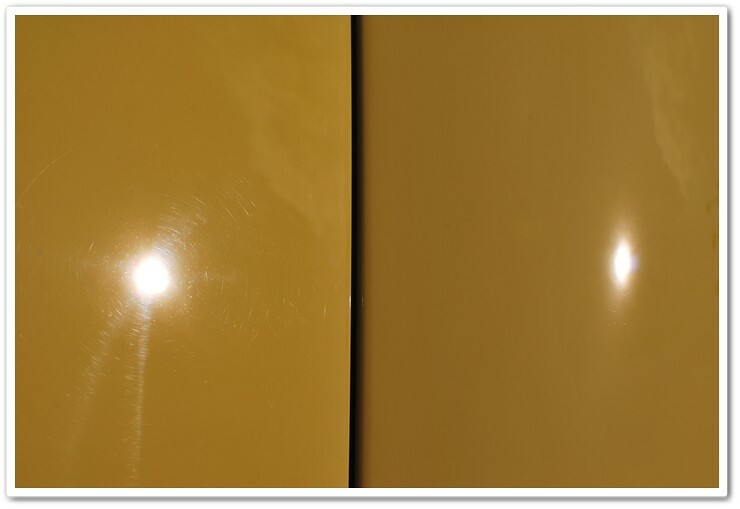 Do you apply the EZ-Creme like a wax/sealant in the sense that you apply some to a panel and keep moving around the car? Could the EZ-Creme replace the final wash step? Very impressive work on a great car in an excellent color! It really all depends how much mess you make. Sometimes it gets messy, sometimes not as much. Either wash or not, I still use the EZ Creme to clean the paint further and to prep the surface for the sealant, it looks great to and does excellent for those metallic paints. I apply with a black/white pad on speed 6 on the PC. If you ever want to do some work together sometime or try out some products just let me know and I’ll set some things up as I’m always needing a hand. 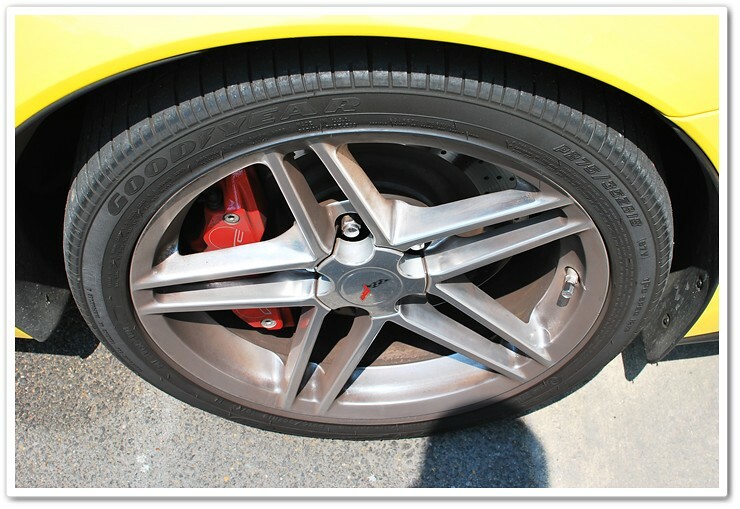 Will you do as a last finishing test to a red AUDI 85RD with Tangerine LC Hydro Tech Pad?? 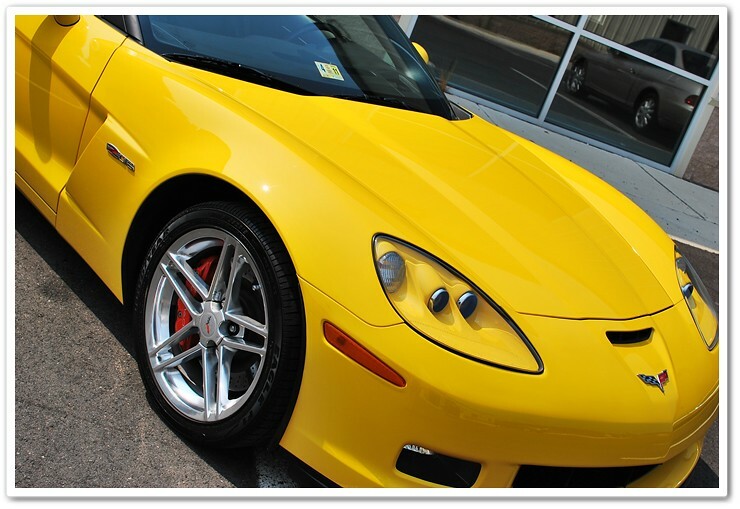 While I do not talk bad about others, from my experience I would avoid dealership detailers. Often times they are using improper techniques with low end products and very little experience. Remember, they are quantity, not quality. 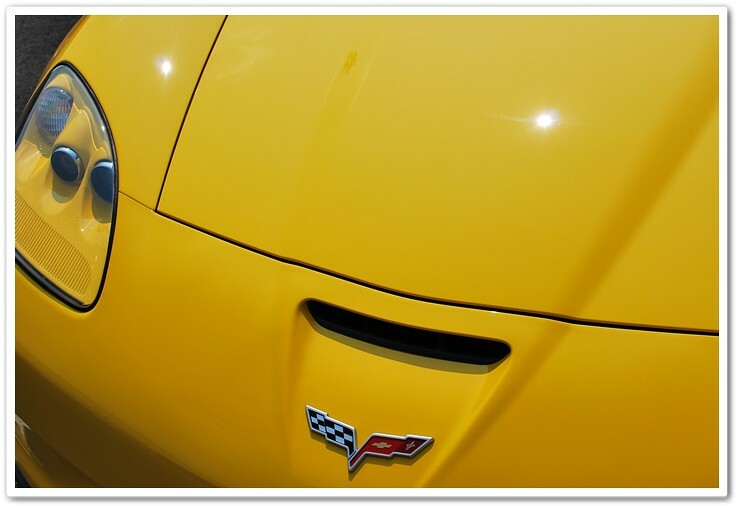 This yellow Corvette was interior and exterior. Total time was 13 hours and I charge hourly. My rates are on my website. 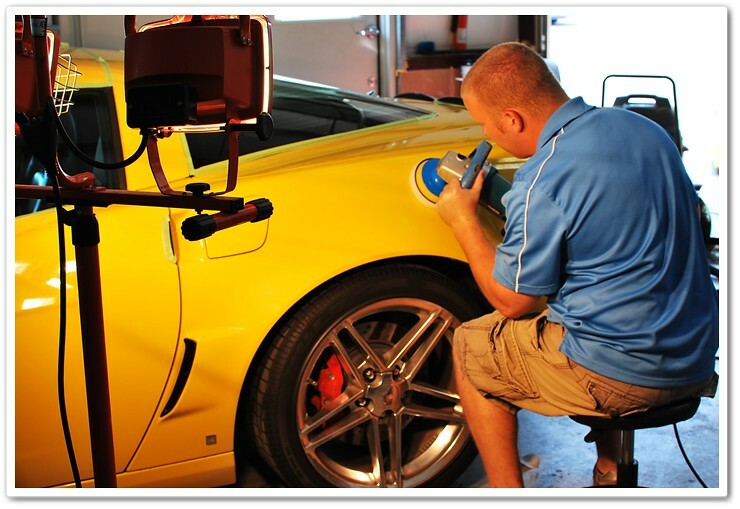 Paying a trusted detailer and having that piece of mind when your car is away has it’s own price as well, also paying for what a high end detailer knows is valuable. I hope this helps. Looks incredible, DJ. What made you choose Surbuf/PC over a rotary for this car? And would you recommend that combo on, for instance, Audi paint which is also generally very hard paint? Thanks. 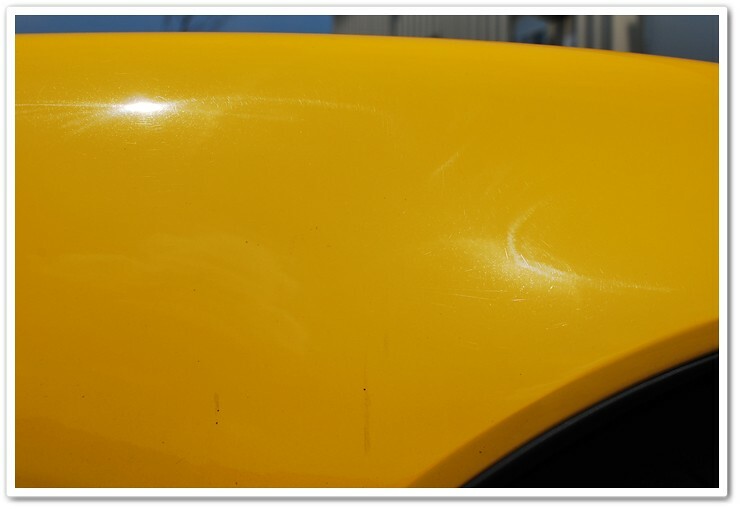 A couple of questions re: the LSP combination on the Velocity Yellow. Have the EZ Creme and like the product but have not tried the Blackfire. 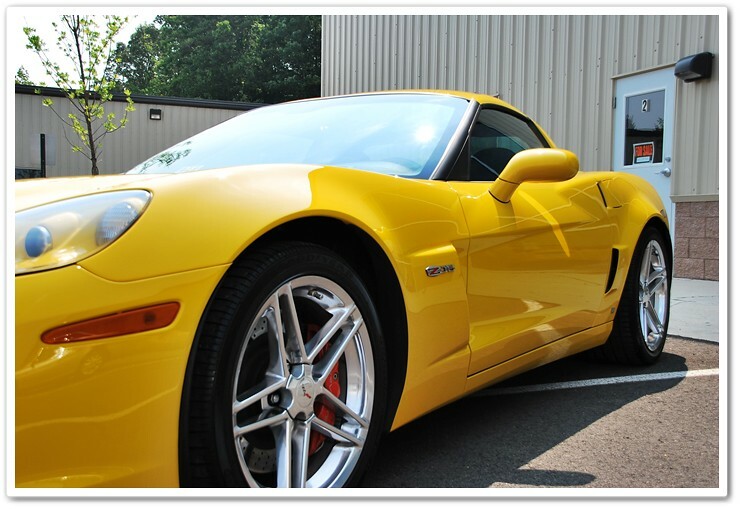 Any other combos come to mind for handling that color Corvette with amazing results?? 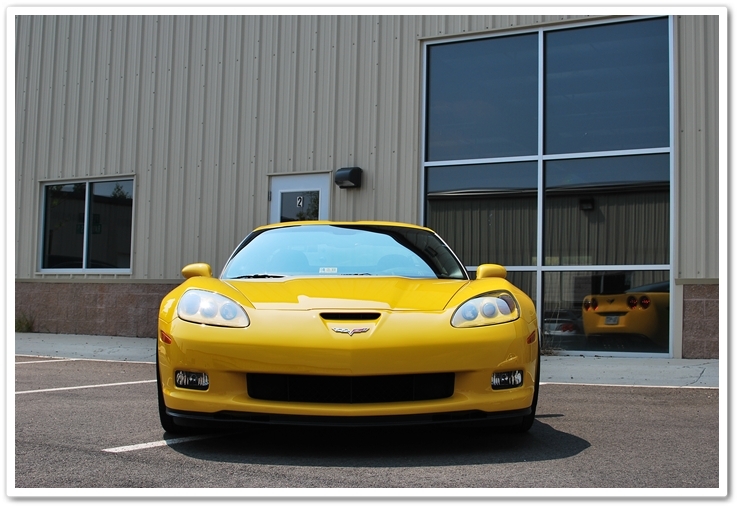 My C5 Millennium Yellow is waiting……..:-)) What’s currently in stock is Opti-Seal, Poli-Seal, OCW (you get the hint re: preferred vendor) plus Collonite 845 for durable winter finishes on the other cares here in the Rochester area. 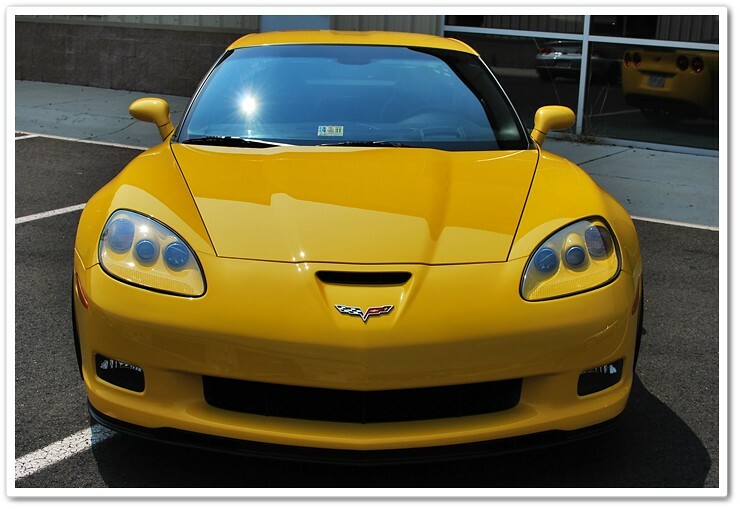 Any prior use of the Optimum products on bright yellow ‘vettes to date? Since I don’t have Blackfire…..is that as good as you’ve seen with this color combination within your experience?? Just asking…..I know, everybody has their favorites and favorite “looks”. Thanks for the info and great work. Look forward to seeing more. Amazing job!!! 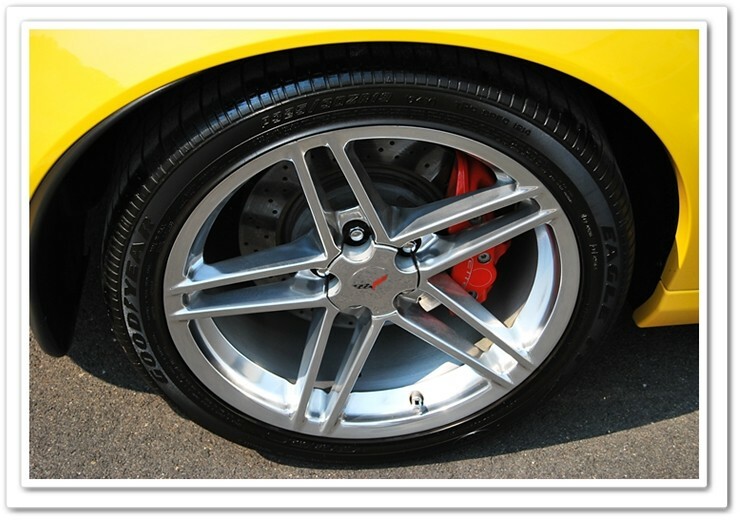 The rims, how did you get them so clean? Did you pull the wheels? Can you point to the brushes etc that you used as well as the chemicals? 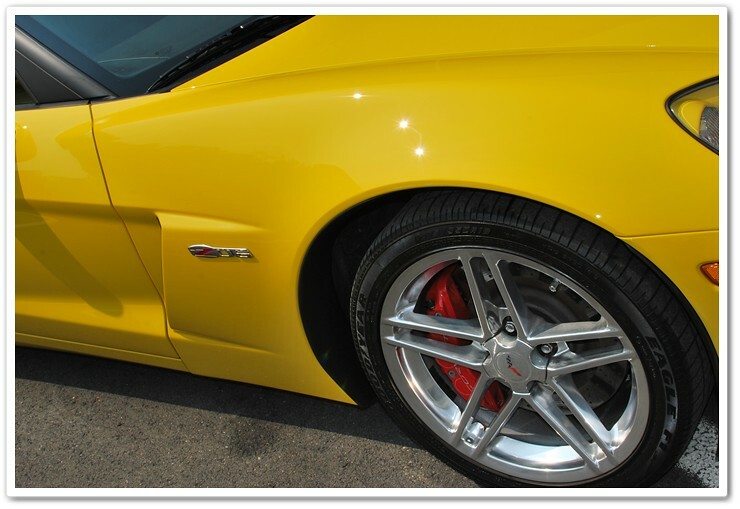 What I do is, use the EZ Detail Brush set with Chemical Guys Diablo Wheel Gel, and clean the wheels best I can. Then I move the car 2 feet and get the under side of the wheel that I couldn’t see at first. On some wheels though, the best result will come from removing the wheel. 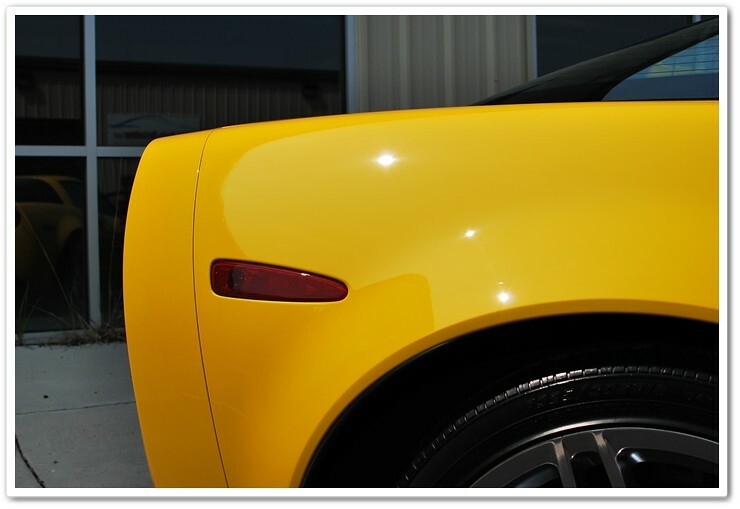 Remember, a lot of the gloss you see is from the polishing stages. However, After all polishing is done, using EZ Creme Glaze followed by Opti-Seal, then several hours later an Optimum Car Wax wipe down has also giving me great results. It is an easy to use combination with decent durability. 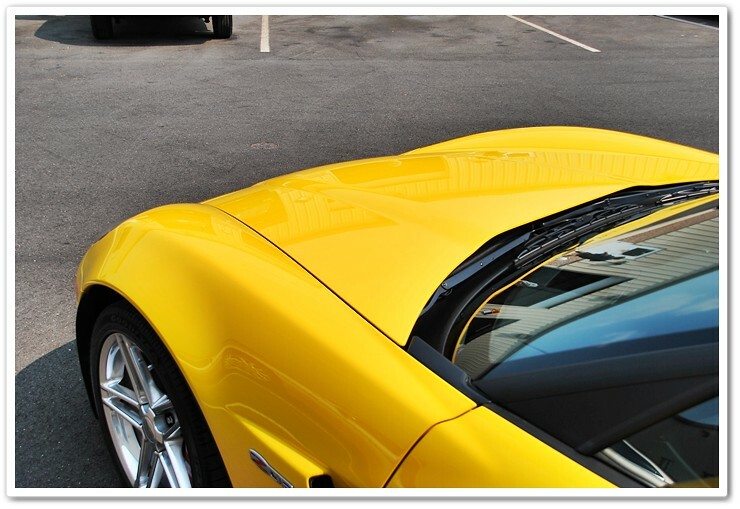 I personally choose to use Blackfire as it’s the best all around sealant for me. Everything from the application, slickness, durability and removal stage is all what I look for in a product. Hope this helps some. 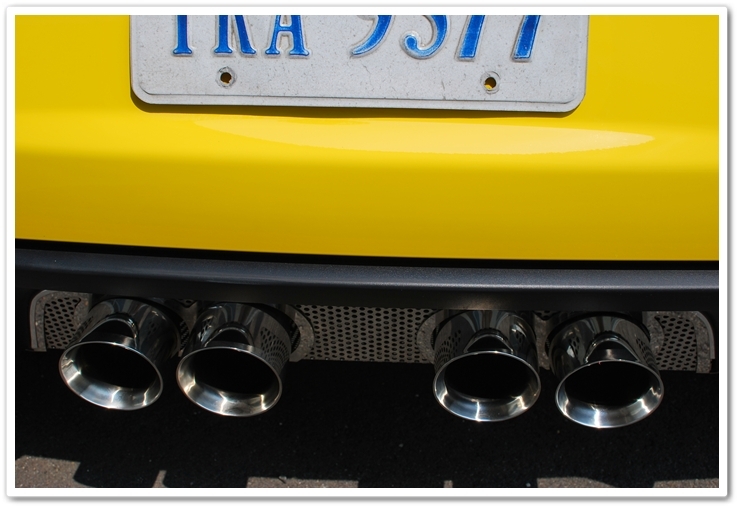 After polishing exhaust tips is it not necessary to follow up with some kind of sealant? Something like that I would have to see the vehicle, but it does sound like some body shop painting is in line for you. Where exactly are you located?